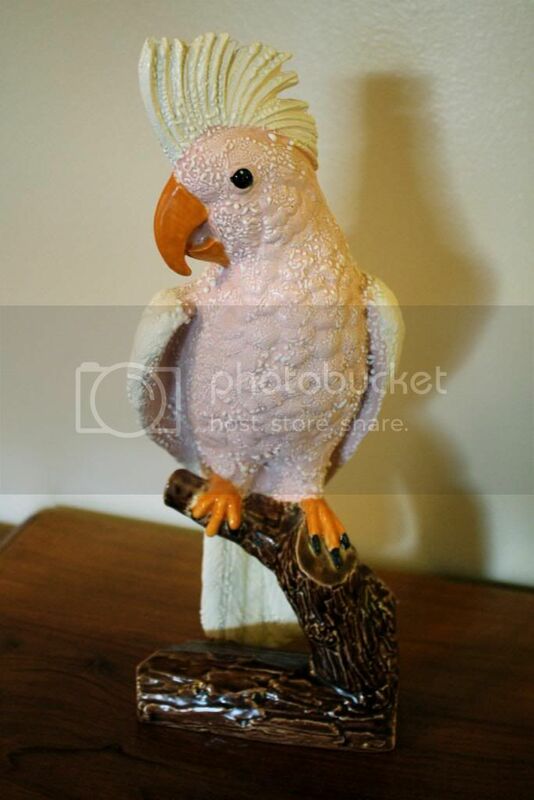 A pretty pink vintage parrot figurine. The face on this (1970s?) 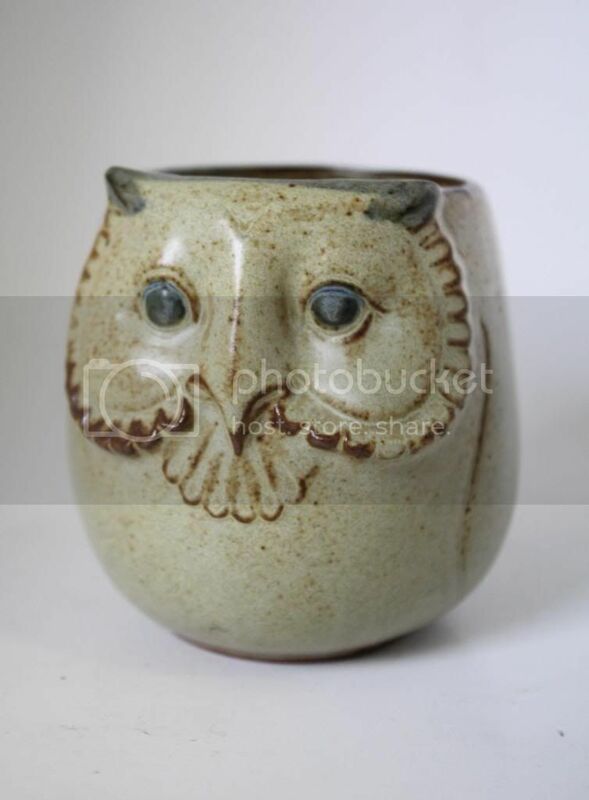 owl mug is really interesting to me. 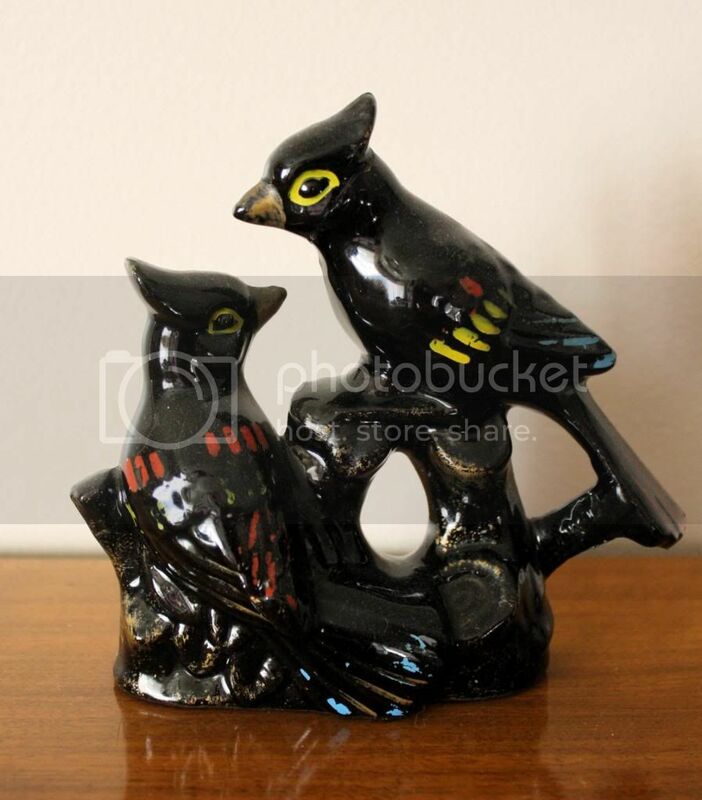 I’ve been finding a lot of these black ceramic figurines with painted highlights. Anyone know much about them? 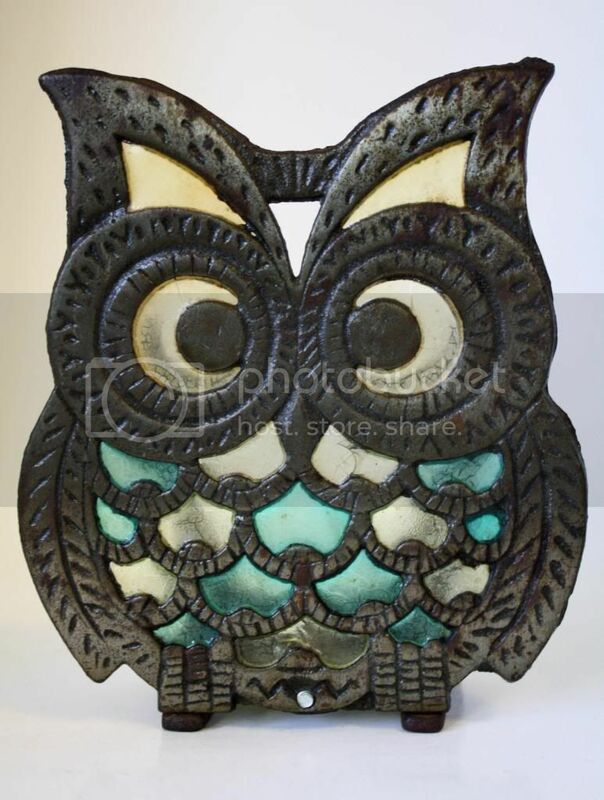 Another owl, this time in the form of a napkin holder. 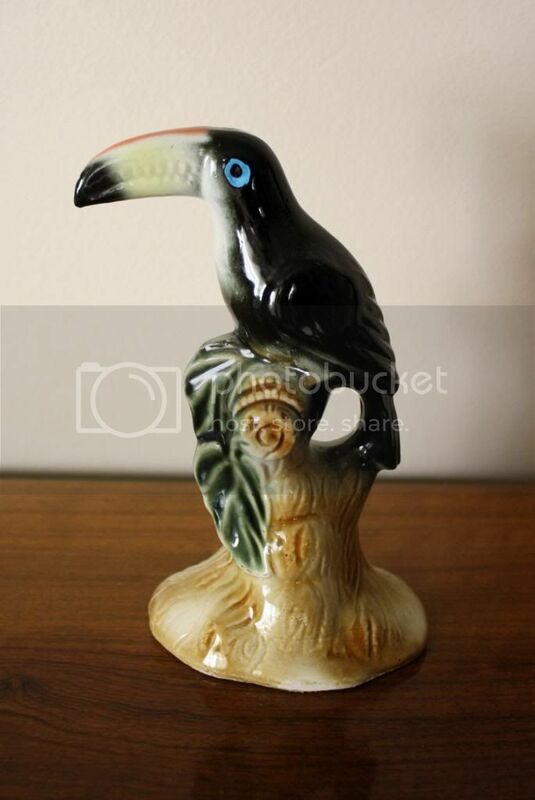 A cute little toucan statue. 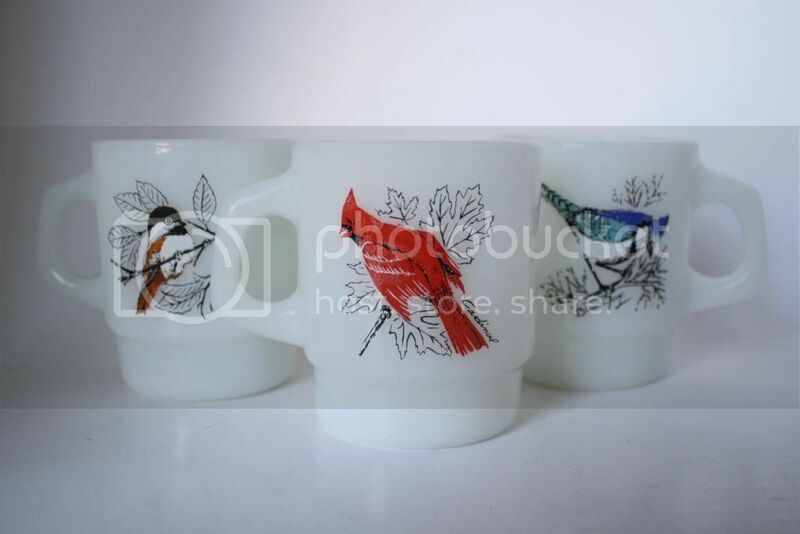 I almost kept these bird-themed Fire King mugs, but ended up selling them in my Etsy shop. 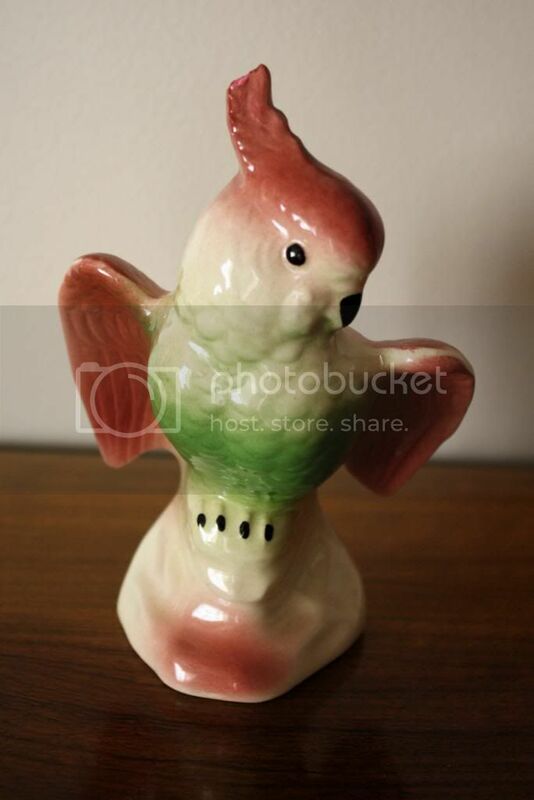 Yet another ceramic bird statue! 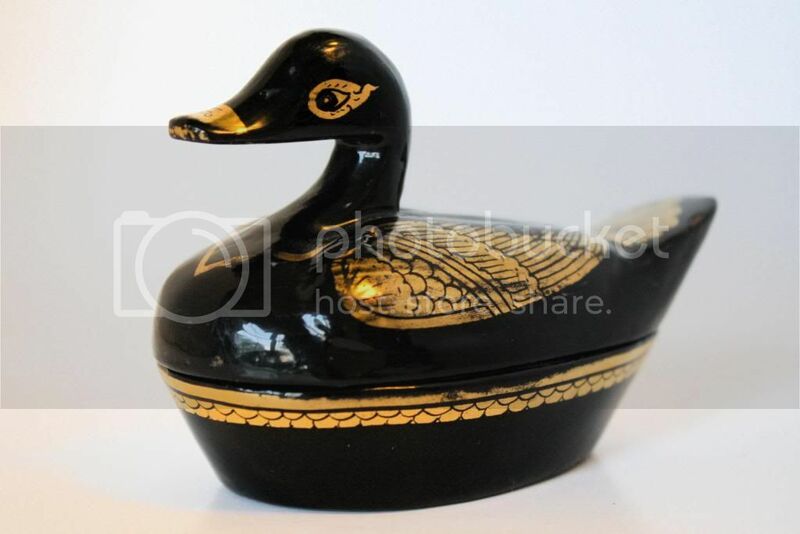 A little trinket box in the form of a gold and black swan. 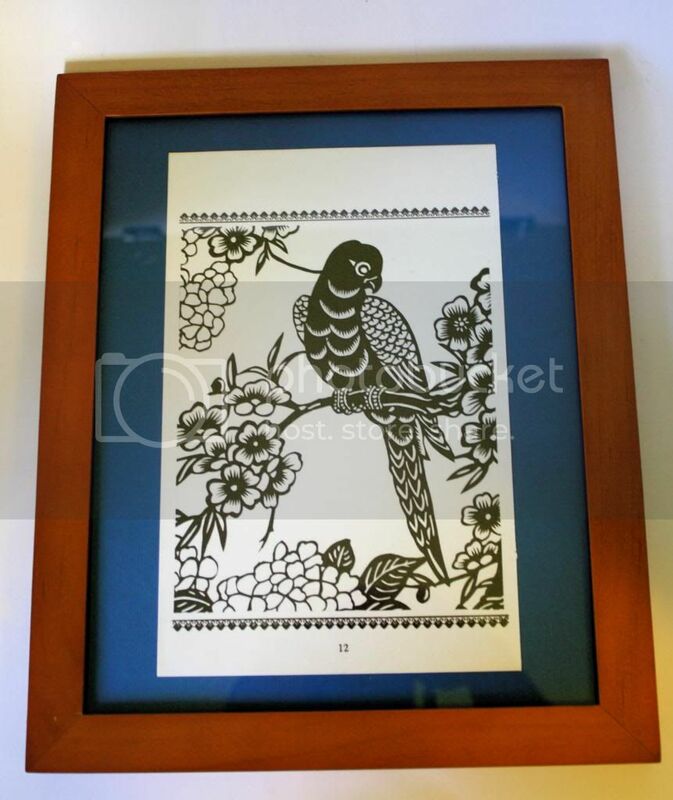 I framed this pretty illustration from a vintage book. I love the way it turned out with the blue paper background! 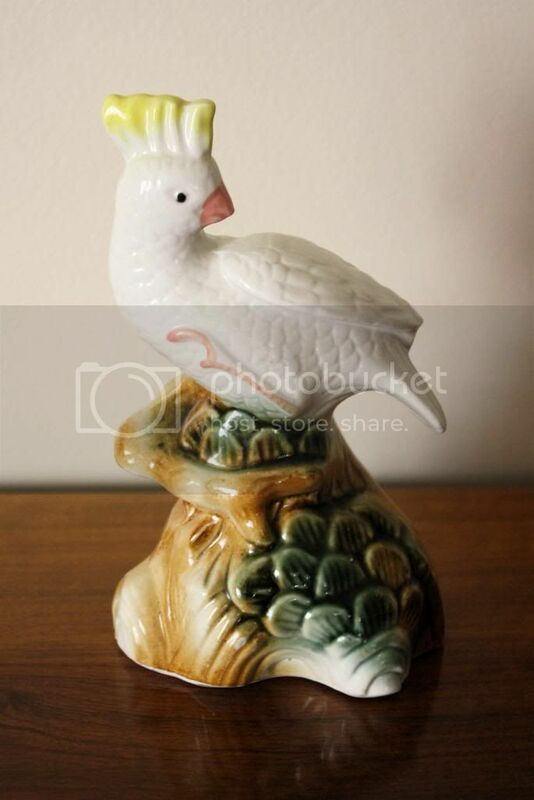 I bought this bird statue as a joke one Christmas because it resembles an annoying (and scary!) parrot that my grandma had for quite a few years. It’s come back to me now and is currently for sale in the antique space. Phillip thinks nobody will want it, but I think otherwise. We’ll see who’s right! 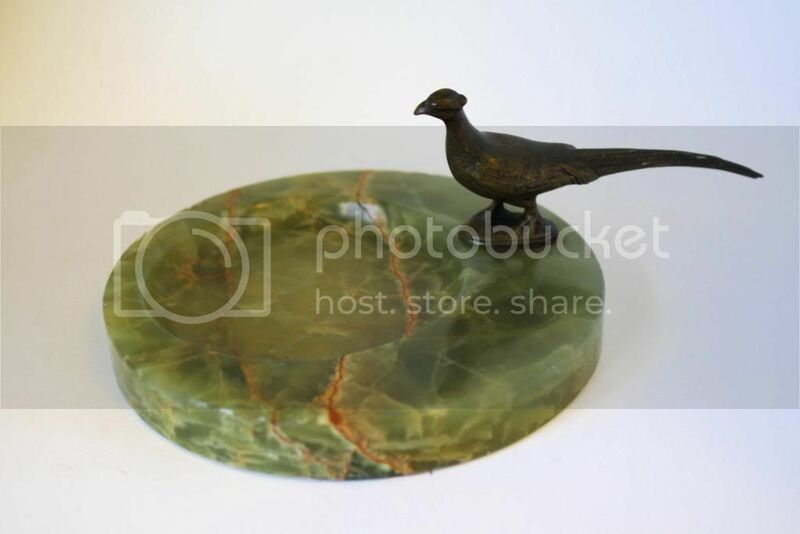 Lastly, what I think is an ashtray or maybe a trinket dish with a bronze partridge. To me, it looks like something for a hunting lodge or maybe a manly study. Thanks for checking out my finds! 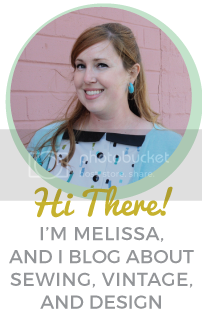 I’ll be sharing via linkups on Apron Thrift Girl, A Living Space, and Young Heart. Stop by and see what everyone has to share this week! PS: Sorry for my lack of Thrifty Thursday post last week, I’ve had a lot of things going on (good things, luckily!) that have been keeping me very busy. I’ll explain more in my next post!